Obesity is a weight condition that is associated with having excess of body fat which is defined by genetic and environmental factors that can be difficult to control when dieting. Obesity increases your risk of developing related conditions such as diabetes, hypertension and sleep apnea, to name a few. Many individuals are affected by obesity and are not aware of it. There are two ways in which the GI Unit at the Hospital of St John and St Elizabeth can help with obesity problems. One method is through a gastric balloon and the other is through use of a gastric band. The Intragastric Balloon is a non-surgical weight control procedure. A soft silicon balloon is inserted through the mouth and into the stomach, using a local anaesthetic. The gastric balloon, made of elastic, high quality silicone is swallowed via a long tube. It is then inflated with saline, partially filling the stomach and inducing the feeling of fullness. A patient’s food intake is then reduced and in conjunction with a healthy diet, weight is lost over six months, during which dieticians monitor weight management, and the tube is then removed after some time. The Intragastric Balloon System takes up space in the stomach. This restriction will lead to patients getting full quicker during meal times and as such reduced portion sizes achieved per meal. This remains the primary factor contributing to weight loss. With the input and guidance of our nutritional team changes in meal choice and preparation aim to establish long term healthier eating habits for patients. The balloon system is temporary and is removed after 6 months. The research and clinical studies demonstrate that patients who use the Intragastric Balloon in combination with diet and life modification programs lose more weight that diet and lifestyle changes alone. For example, in a recent study out of a total of 255 patients who were followed for one-year. During that period, 125 patients received the device and had it in place for six months. After the device was removed, they were followed for an additional six months. 130 patients participated in a 12-month behavior modification program and did not receive the device. Patients with ORBERA lost an average of 21.8 pounds (10.2% of their body weight) after the device had been in place for six months. Three months after the device was removed (9 months after device placement), patients who received the device maintained an average of 19.4 pounds weight loss. 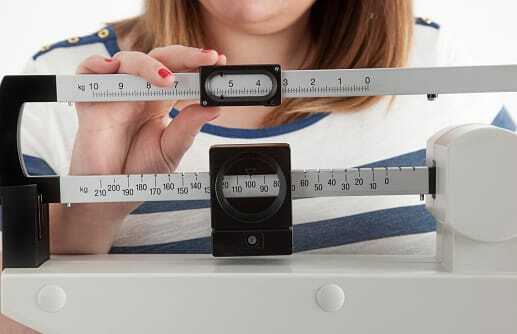 The 130 patients who participated in the behavior modification program but did not receive the device lost an average of 7.0 pounds (3.3% of their body weight). Gastric banding is a surgical procedure fitting a band around the upper part of your stomach. It is usually only recommended as a last resort for people with a BMI of over 40, or those with a BMI of between 30-40 who also have a condition that poses a serious health risk, such as diabetes, high blood pressure, or heart disease. Gastric banding can be used as a way of helping you to lose weight by controlling the amount of food that you eat. Once the gastric band is in place it can be adjusted externally at any time by a surgeon, made tighter or looser, depending on the amount of food your surgeon wants to restrict you from eating, but the band remains permanently within the stomach. It can be removed. To ask a question about our treatment options for obesity or to book an appointment, contact our specialist team available Monday – Friday 8am – 6pm and on Saturday from 9am – 1pm.